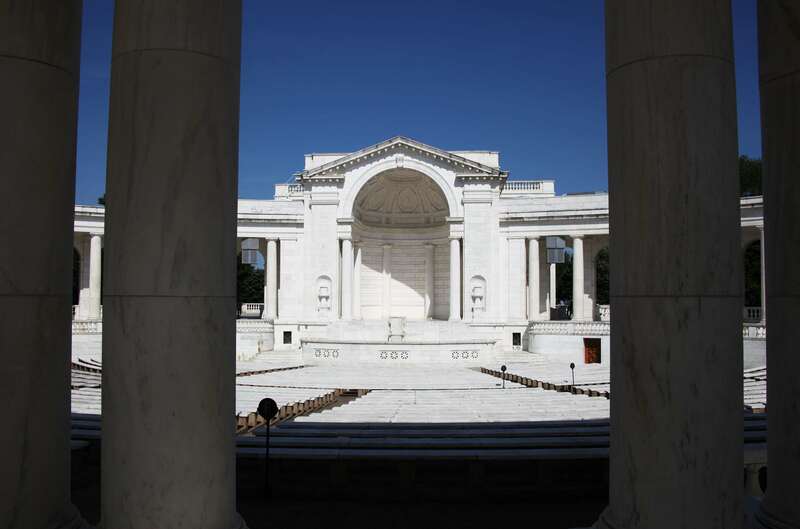 The Memorial Amphitheater at Arlington National Cemetery, near the center of the Cemetery is the home of the Tomb of the Unknowns where Unknown American Servicemembers from World War I, World War II, Korea and Vietnam are interred. 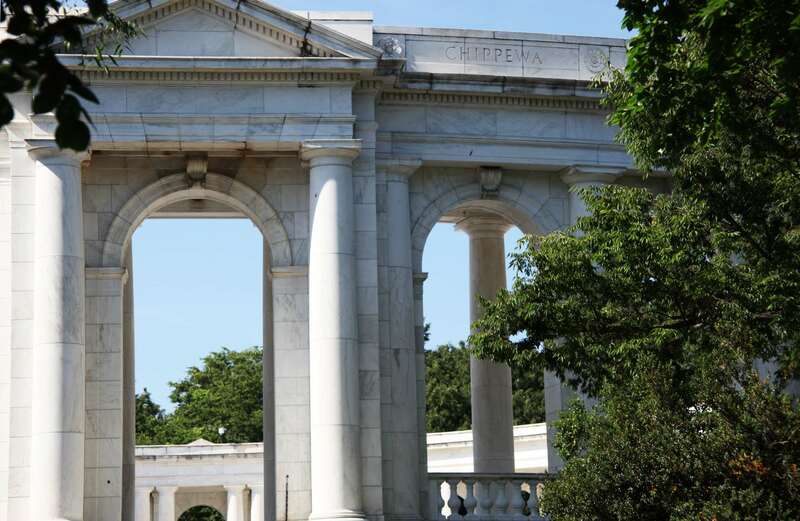 This site has also hosted the state funerals of many famous Americans, such as General of the Armies John J. 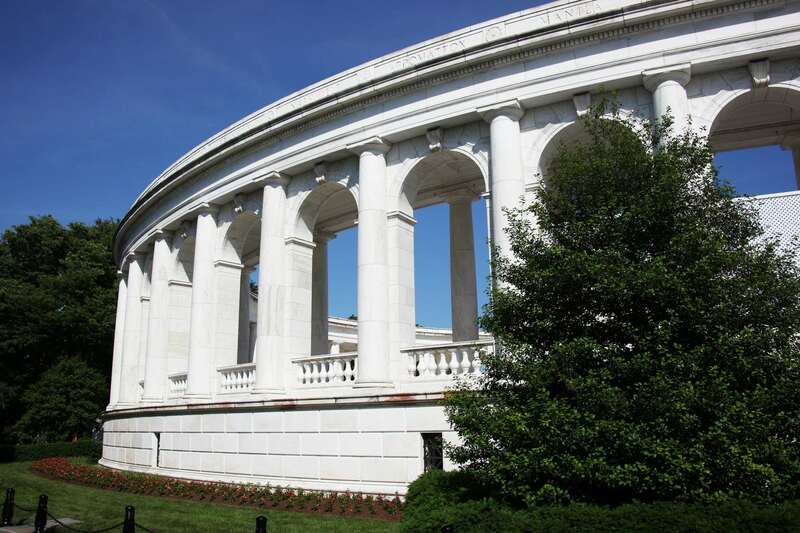 “Black Jack” Pershing, as well as annual Memorial Day and Veterans Days ceremonies. 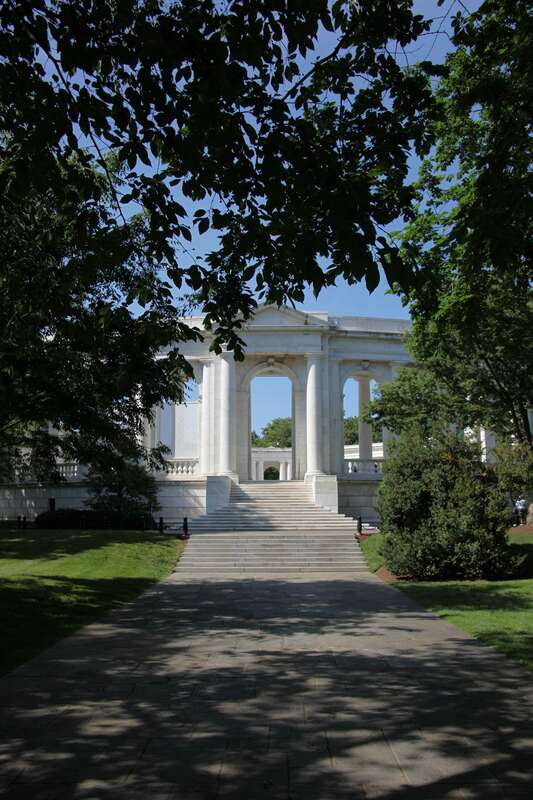 Every American President of this century has presided over holiday gatherings at this site. 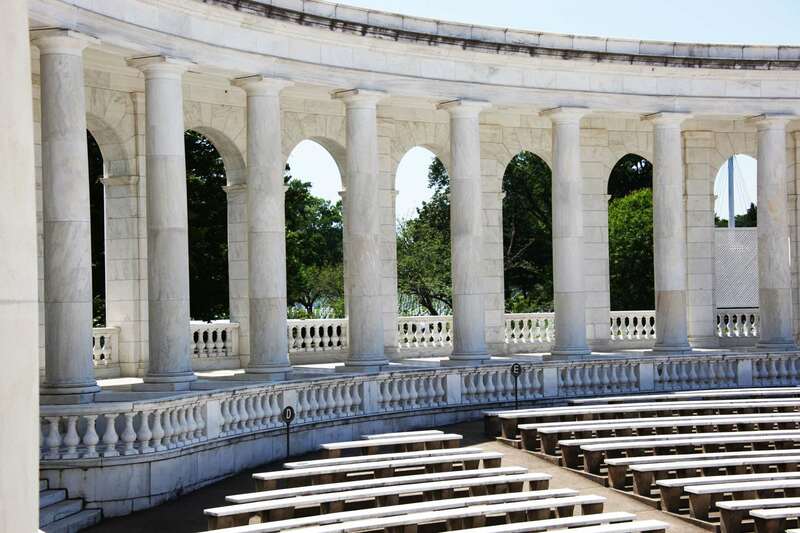 About 5,000 visitors attend each of the three major annual memorial services in the Amphitheater. They take place Easter, Memorial Day and Veterans Day and are sponsored by the U.S. Army Military District of Washington. 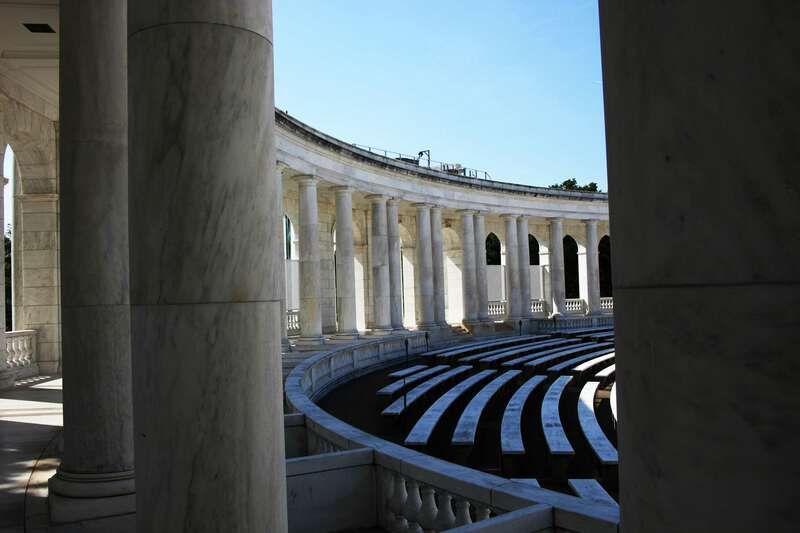 The Amphitheater is constructed mainly of Vermont-quarried Danby marble. 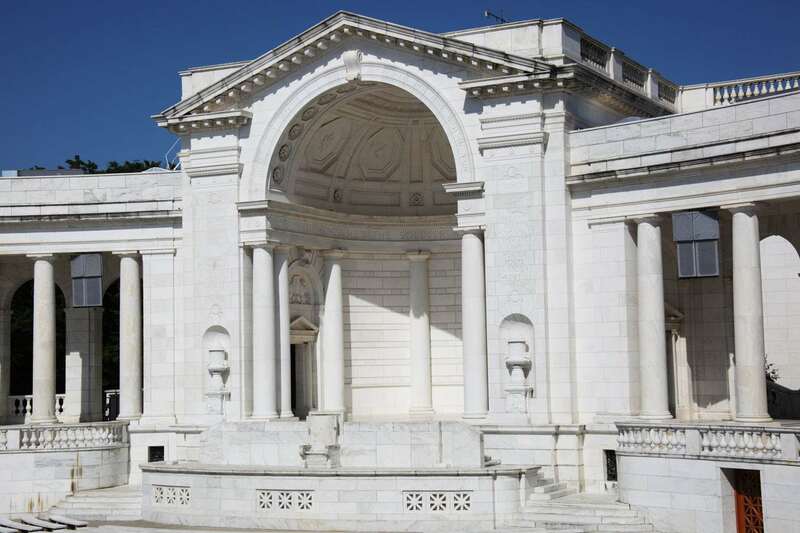 The marble in the Memorial Display Room is imported Botticino, a stone mined in Italy. 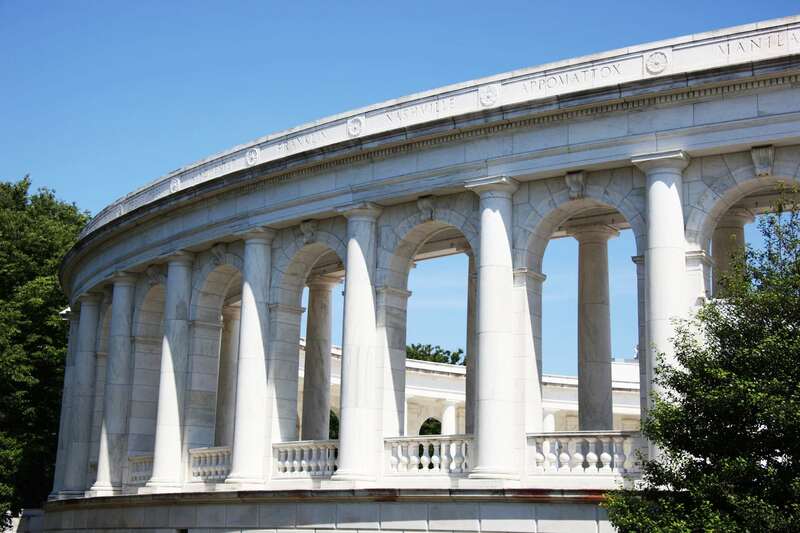 The Memorial Display Room, between the amphitheater and the Tomb of the Unknown Soldier, houses plaques and other tributes presented in honor of the four service members interred at the Tomb of the Unknown Soldier. 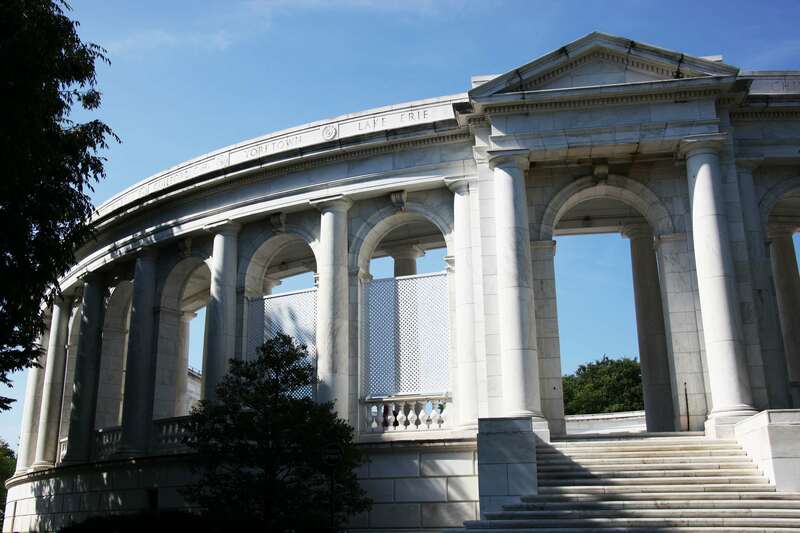 A small chapel is beneath the Amphitheater stage. 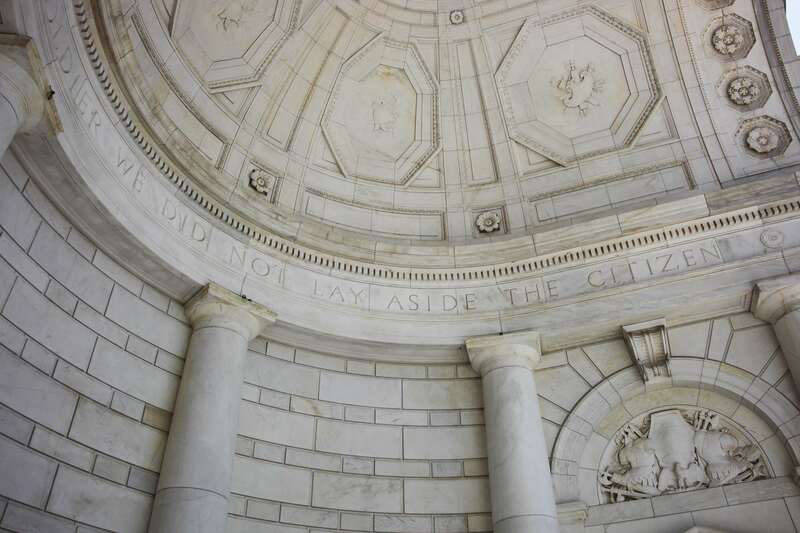 The names of 44 U.S. battles from the American Revolution through the Spanish-American War are inscribed around the frieze above the colonnade. 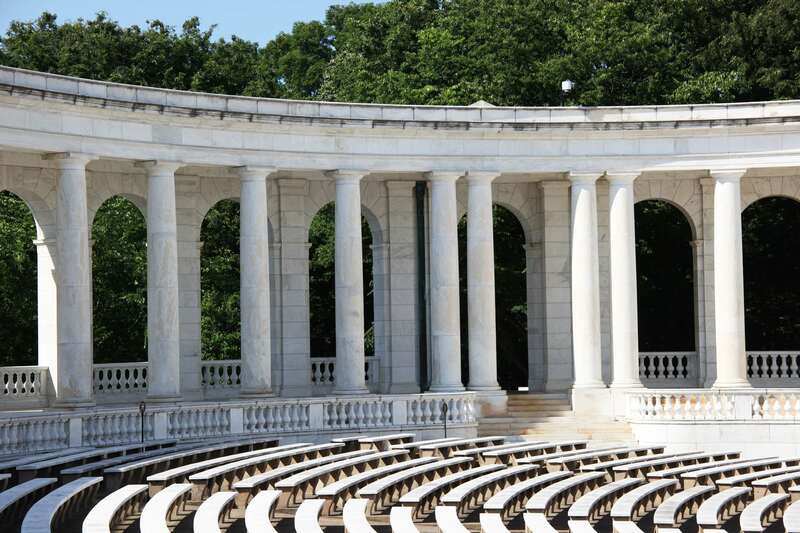 The names of 14 U.S. Army generals and 14 U.S. Navy admirals prior to World War I are inscribed on each side of the amphitheater stage. 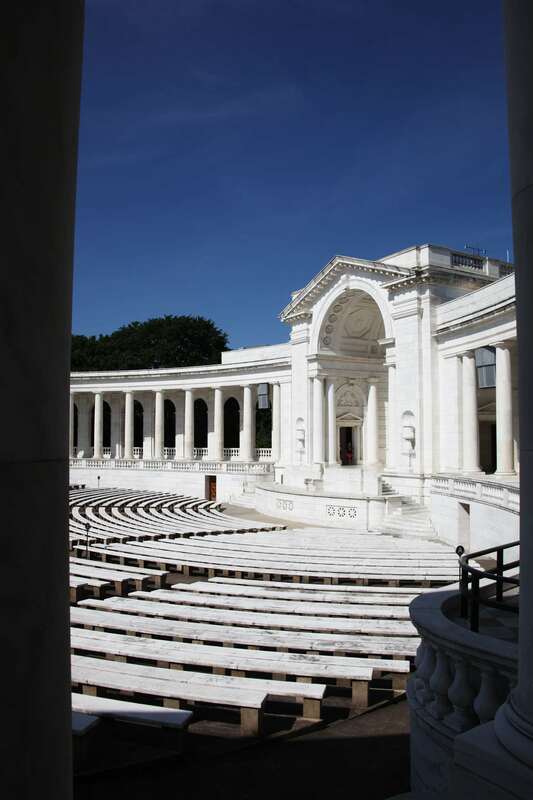 Tags: Amphitheater, apse, Arlington, arlington-national-cemetery, Cemetery, colonnade, Memorial, Memorial Amphitheater, National, Washington D.C.